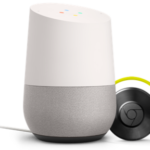 Update December 10, 2015: Google has released the multiroom functionality firmware that enables party mode for Chromecast Audio. Simply group the Chromecasts together in the Chromecast App to play the same music on them. The firmware also includes support for high resolution lossless audio up to 96KHz/24bit. 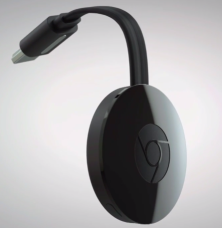 Google has just announced two new Chromecast devices. One called the new Chromecast that basically is an upgraded version of the existing Chromecast with focus on streaming video. 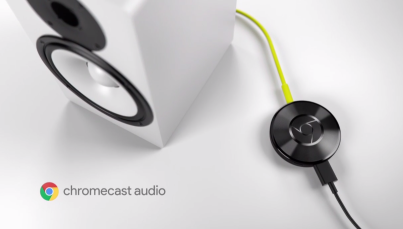 Then there is the Chromecast Audio that is targeted at playing multiroom music in your home. Now with native Spotify support! Chromecast Audio has both analog and digital audio output through rca, aux (3.5mm) and optical that is connected to a receiver or active speakers (full size or more like computer speakers). This is because Chromecast Audio does not have a built in amplifier that can drive passive speakers on its own. As the number of chromecast supported apps grows fast, Google has turned its focus to Content discovery, to let you be able to find quality sources that matches your taste. Support for Spotify was also announced which is a great addition. Pandora and iheart radio are two other popular services. You can play local network music stored on a NAS, computer or a phone by using an App that can play the music from the source and also has chromecast output. Google also announced the Google Play Music family plan for only 14.99$/month, for up to 6 people simultaneously. It will come later this year. 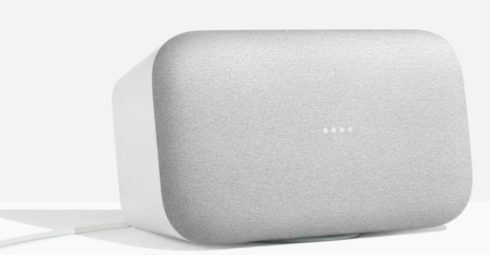 Chromecast Audio is Googles first Audio Player since the failed Nexus q that costed 8 times more and was withdrawn from the market after a few months. That fiasco led Google to revise their whole strategy for streamers and to focus on simpler and lower prices devices. Like the previous version, the new Chromecast (not Audio) has a HDMI output and can be attached to a receiver and play music through it without any loss in quality. The optical out on the Chromecast Audio gives the same quality. Both new Chromecasts supports 2.4 and 5ghz wireless. The signal strength is twice that of the previous version. The process of casting audio looks the same as casting video and other. Chromecast Audio has a guest mode that lets your friends connect and share their music in a safe way. You can have multiple Chromecasts in your home, in different rooms, and play the music you want on them from your smartphone, one at a time. Each person in your home can play music at the same time on different players. An update that enables party mode, to group players as one and play the same music on them simultaneously, will come later this year. 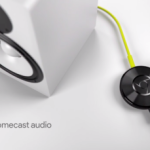 All this makes the Chromecast Audio a great entry level music streaming device for its price. Chromecast Audio is priced at 35$. The new Chromecast is priced at 35$. You can buy them now at the Google online store. The owners of the 20 million Chromecast units already sold will be glad to hear that the old Chromecast gets Spotify support in an upcoming firmware update within a few weeks. If you just want to play Spotify on your speakers and nothing else. Then Philips has two new speakers for you. You remote the speakers from Spotifys own app with their Spotify Connect technology. You can also group up to four speakers and play the same music on them all. Usually called party mode. I read a customer complaint about not being able to play music on the individual speakers when they have been grouped in SpeakerSet. So switching from party mode to individual requires a small configuration task. Named SpeakerSet is for configuring the speakes and exists for both iOS and Android. The sound quality is specified at CD-quality 320 kbps. The SW750M has four drivers that deliver 20-W and two bass ports for expanded low-frequency bass. Price £150. 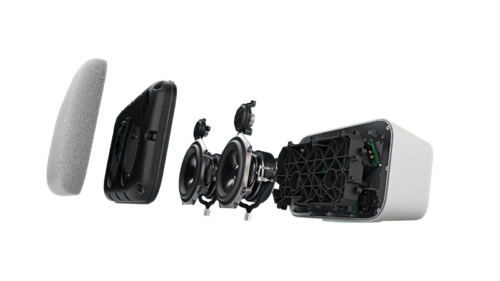 The SW700M has two drivers that deliver 4-W and two bass ports for expanded low-frequency bass. Price £100. Spotify connect has an advantage over Bluetooth and AirPlay in that the smartphone remote app only tells the speaker what to play, which the speaker then streams directly from Spotifys server. So the smartphone does not stream the music to the speaker, which would take a toll on the phones (or tablets) battery. Given its limited support for music sources, it is rather far fetched to compare it with Sonos, that supports so many more sources. But if we look at only Spotify in a multi-room setting, then there are pros and cons with both platforms. Philips has the better app for playing Spotify, which is Spotifys own. Sonos can play different Spotify songs in different zones at the same time, which is somewhat of a killer feature. Both can play in party mode. Philips has a lower price. 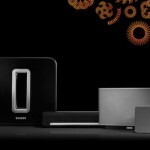 Sonos has a broader offering with both stand alone speakers and integrated with existing HiFi. It probably comes down to if you are really sure that you do not need support for other sources than Spotify now or in the future. 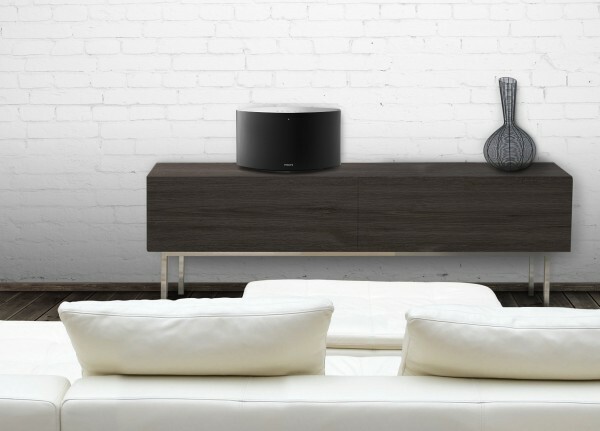 Samsung Shape continues its big push into the wireless audio market and becomes the first multi-room system to support Spotify Connect. Shape users will be able to use the native Spotify app, rather than the Shape app, to queue up and play songs. The update applies to all Samsung Shape speakers. 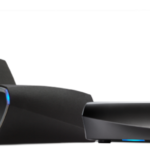 The Shape M7, Shape M5 and other audio components like Shape-compatible sound bars and Blu-ray players. The addition strengthens both the Shape platform and Spotify, that needs adoption in the market for Spotify Connect. 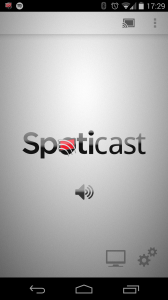 Update: Spoticast has been removed from Google Play. Update 2: Spoticast is avaliable on an alternative source. The android app Spoticast brings Spotify to the Chromecast before Spotify themselves have done it. Just download the app, login with your Spotify account and connect to your Chromecast. Then switch to spotifys own app where the music you choose will be played on the chromecast. You don’t need a Spotify premium subscription to use it. If you want to control the volume, set focus on the Spoticast app and use your device volume up and down. This should be a signal to Spotify that they need to get in the game and develop native Chromecast support instead of just focusing on their own Spotify connect technology. 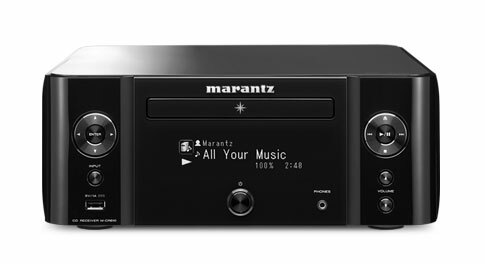 Marantz has two streamers (M-CR510 and M-CR610) in the melody series that can do all the basic stuff and then some. Both can stream music from Pandora, Spotify and SiriusXM Internet Radio. 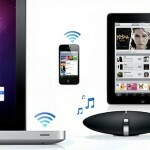 AirPlay is supported and both can also stream music from the local network. The M-CR610 has a cd player and AM/FM radio. Both can be controlled by the Marantz smartphone app. 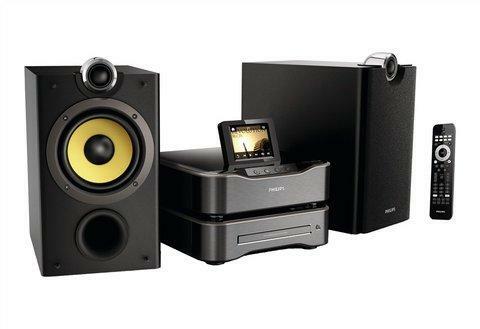 They have a digital amplifier that delivers superb audio clarity and can easily drive lower impedance speakers. Or connect them to a receiver with the optical audio output. So impressive specs from an audio brand that is known for its audio quality. 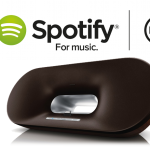 Worth checking out if you are considering a music streaming solution. 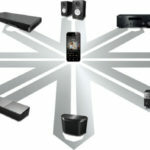 Philips Streamium is a music streaming product line that has been around in different versions for over ten years. Steamiums offering is not as focused towards multi-room music as Squeezebox and Sonos. 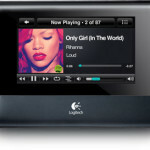 It ranges from alarm clocks to ipad docks and whole Hi-Fi systems. Only the top line, full Wireless Hi-Fi systems (MCi8080 and MCi900) has support for Spotify. They can be remoted in a multi-room solution through iPhone and Android devices with the Philips MyRemote app, available on both the Apple App store and Google Play. It would have been nice if Philips had a lower priced unit without speakers with the same premium functionality also, since most people has existing rigs to fit the streaming unit into. When/if that device arrives, Philips could take on the Multi-room market more seriously. If we are talking Boxee and multi-room music, airplay is the best bridge for a multi-room Boxee solution, as previously concluded due to the lack of powerful multi zone Boxee remote apps. But if airplay is not an option or you just want to use that big screen tv for finding music, Boxees own Spotify app just got a whole lot better with support for searching for songs outside of you playlists. Access to the inbox and ability to play in shuffle mode. The WD TV series has always been competent at playing audio and video. The first versions lacked network connection but has now evolved into including even wireless (802.11n). The increasing focus on streaming abilities has also brought a full implementation of Spotify. With full i mean also the ability to make and update Spotify playlists, which most other implementations actually don’t have yet (Boxee, Squeezebox and Sonos). It has HDMI, Optical and analog output. It can play almost all audio formats from either an attached disk or one on the network. What it don’t have yet is a powerful remote app that can remote all this from your phone or other without using a TV for its on screen display menu. If this non existing app also had the ability to control multiple devices as different zones, you would have a full fledged multi-room music solution which also could play video and other things as Facebook. As it stands now, the WD TV Live probably has one of the most competent one zone audio player but cant even compete when it comes to multi-room and is also dependent on a screen for displaying its menu. 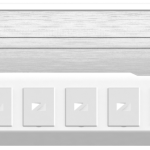 If you are serious about your sound, you will need a dedicated receiver in one or more zones in your multi-room solution. Probably in the living-room, hocked up to surround speakers, your zone player of choice, a big screen tv, a HTPC media center (or Tivo or other) and a game console (Xbox or PS3) . The receiver needs to have multiple input types like coaxial and optical digital (SPDIF), hdmi and a couple of RCA and 3.5mm analog inputs. It is also important that the receiver can decode audio through the hdmi inputs, not only pass it trough to a tv. * 7.2 surround support for the latest HD audio formats. * iPhone and Android remoting app that lets you control what source to play, volume, bass, current playlist (if using DLNA, Spotify or other supported streaming service) and more. * Spotify support. 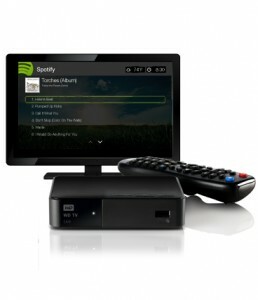 The receiver has an integrated built-in spotify player that requires a premium account. Spotify can be remoted by the Onkyo Android app or through the on screen display. * Automatic audio setup for multiple listening positions. * Network ethernet input which enables DLNA streaming from your local network and firmware upgrades trough the Internet. * Two zones support. It is possible to have a set of speakers for an additional zone attached to the NR609. * Auto turn of when idle for a specified time. 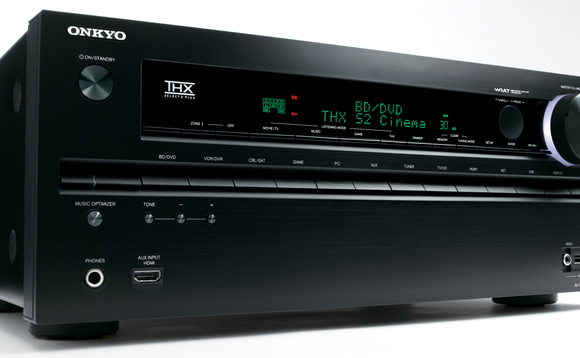 I have been using the Onkyo for three weeks now and can conclude that it delivers great sound and it does so intelligently. 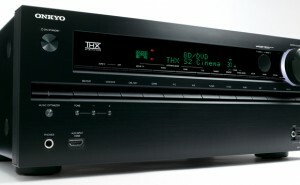 It adapts its settings automatically between digital surround and stereo. The calibration lifted the sound even more and the android app finally got Spotify support on October 31. The receiver also looks great and has a smooth light ring around the volume control when turned on. The on screen menu structure feels a little strange at first. The receiver does not support Airplay, so not the optimal solution for an Airplay based multi-room system.